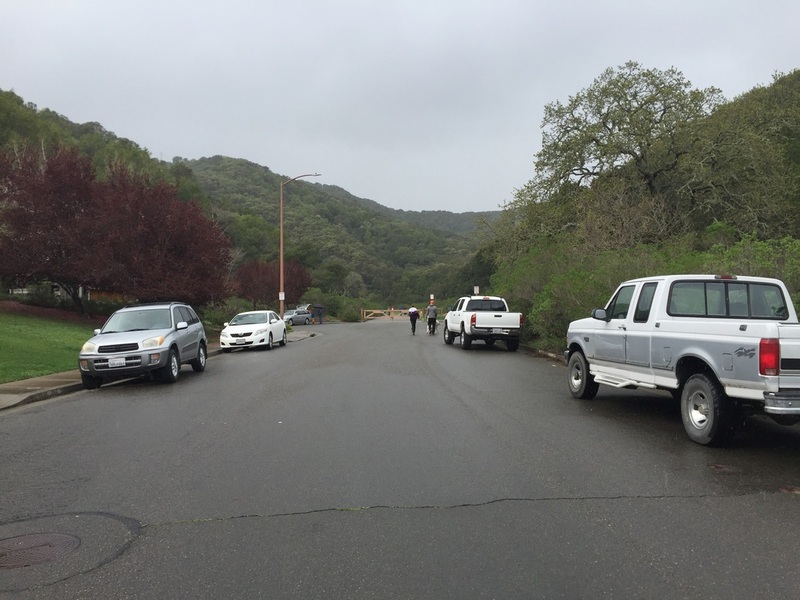 Parking: Free street parking at the end of Fairway Drive, right after St. Andrews Drive. Please be respectful of residents. 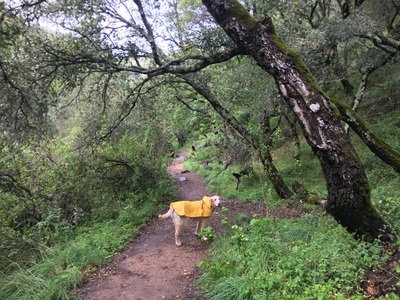 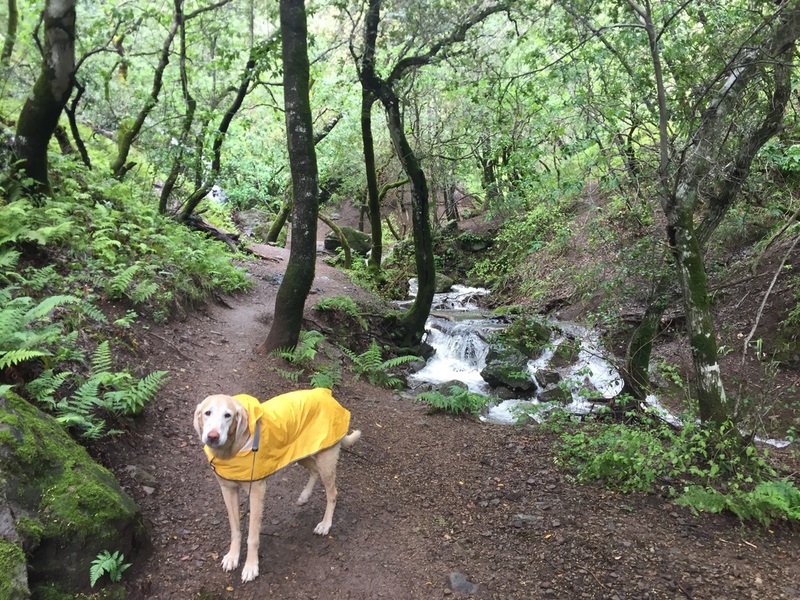 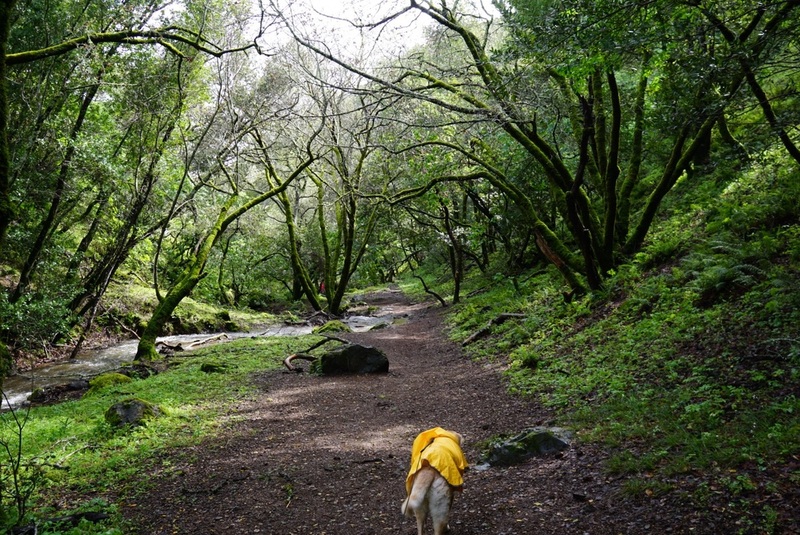 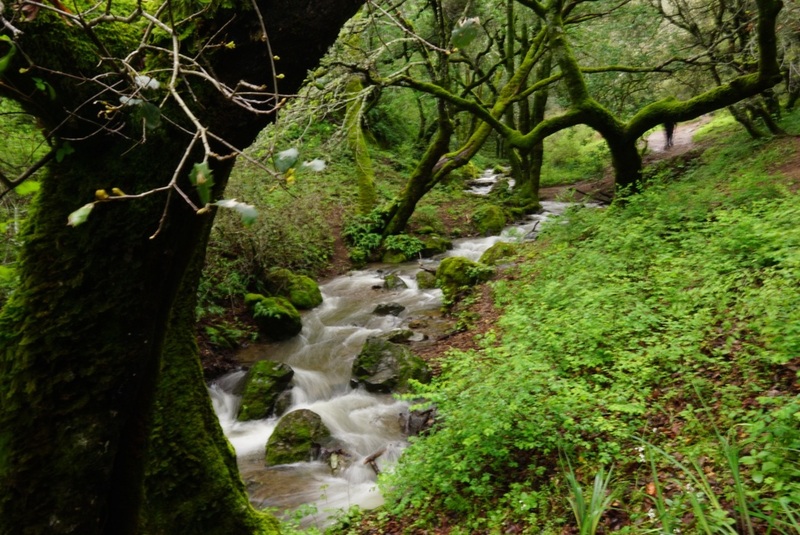 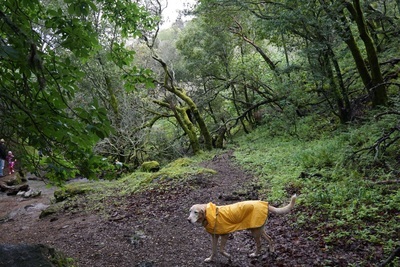 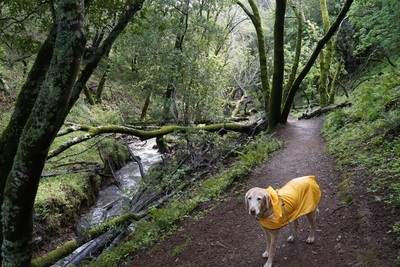 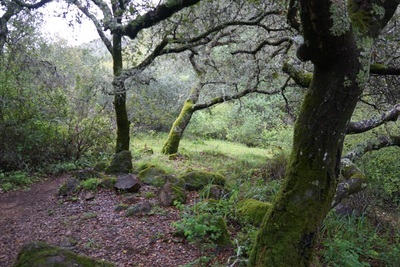 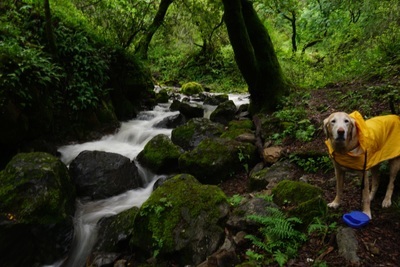 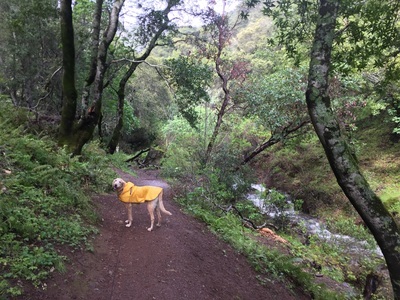 Description: This is a scenic hike to a 30-ft cascading waterfall in the Ignacio Valley Preserve. 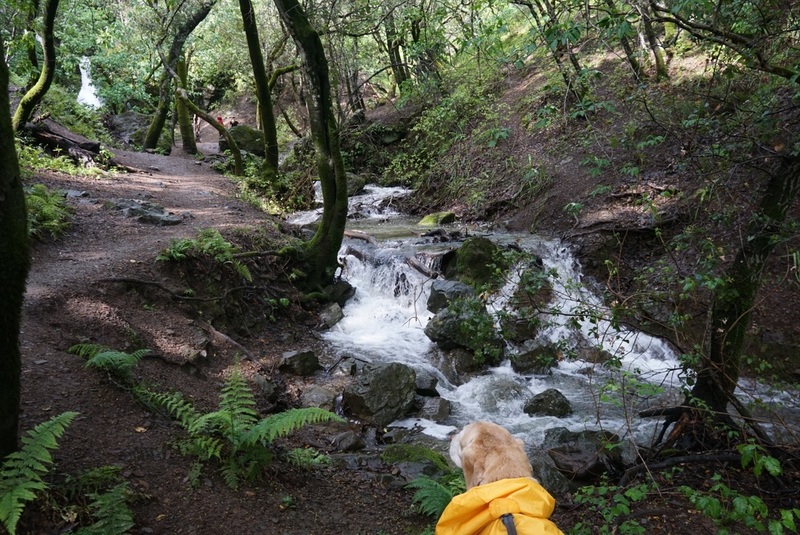 The hike starts on a paved trail, and soon you will have to cross the creek. It was gushing during our visit, and we had to wade past our ankles to cross. 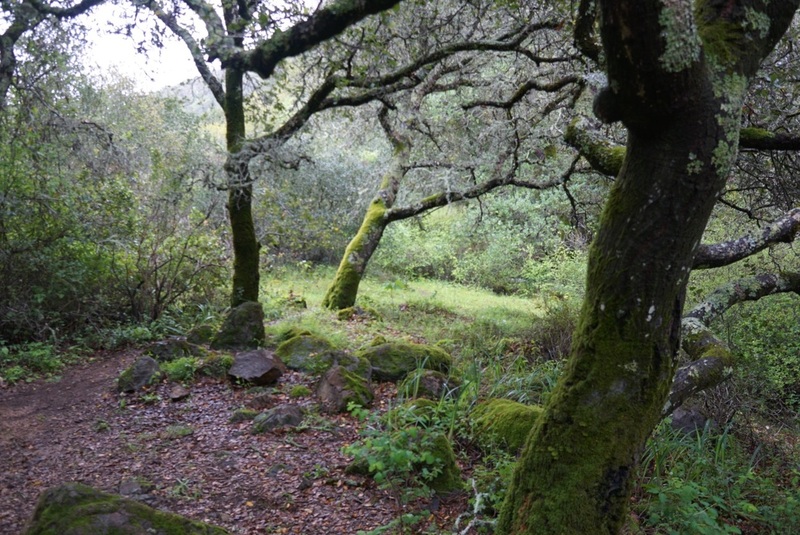 The open, dirt trail gently heads uphill, and soon you’re under towering moss-covered trees, hiking in a shady green forest. You will soon have to cross the creek again, and the trail will continue along the cascading creek. 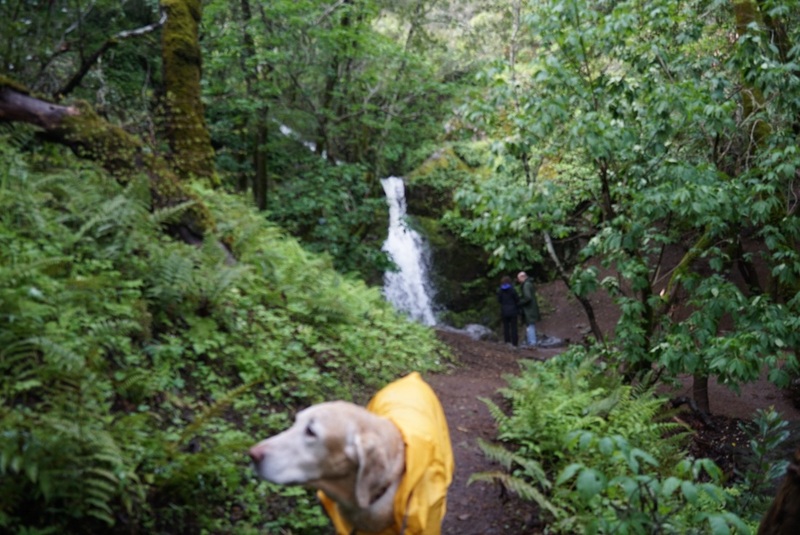 You’ll see a large boulder further up the trail, and once you pass it the huge waterfall will be in full view. You can cross the creek and stand right next to the waterfall, which flows into a pool down below. 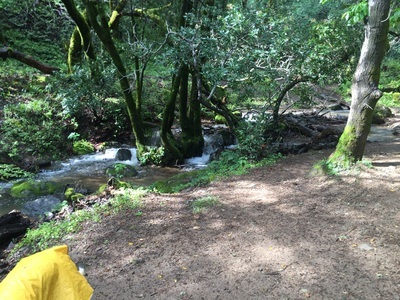 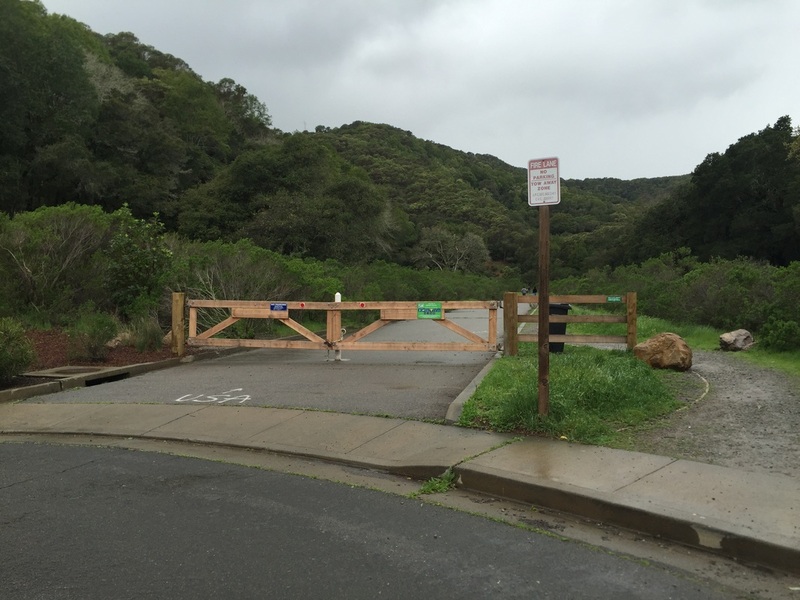 Retrace your steps back to the trailhead for an approximately 1.5 mile hike. 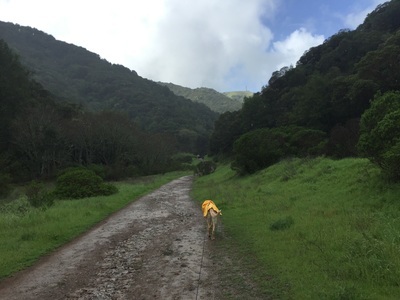 This is a relatively flat hike with only about 150ft in elevation change. 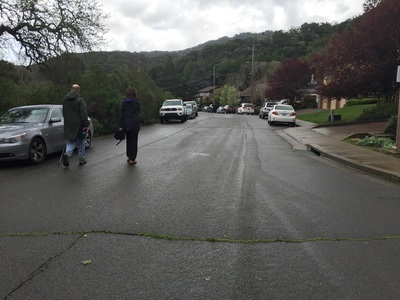 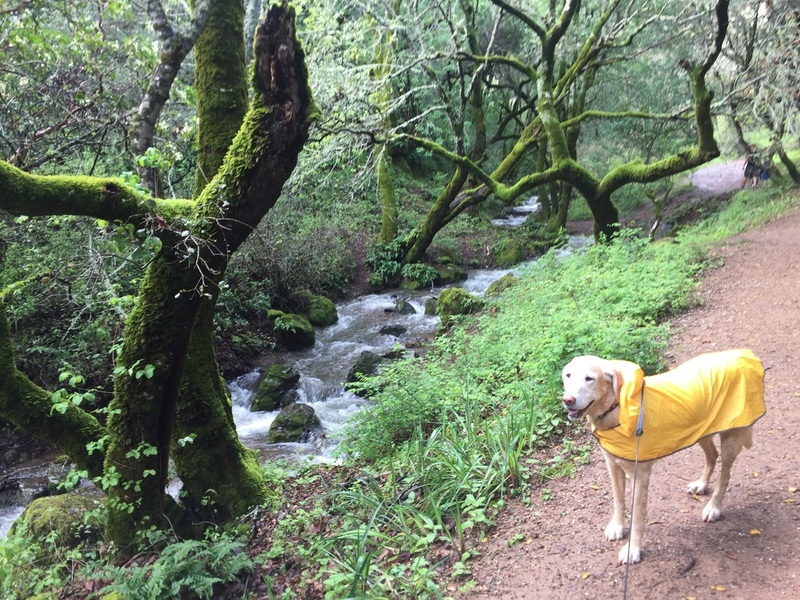 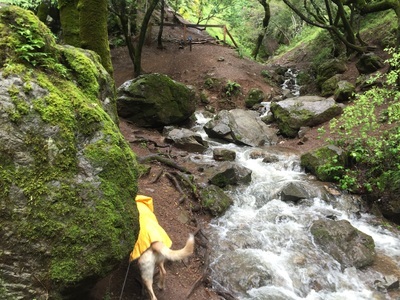 I would recommend wearing waterproof shoes or bringing a change of socks if you’re visiting after a heavy rain, because you will have to wade through the wide, ankle-deep creek several times. 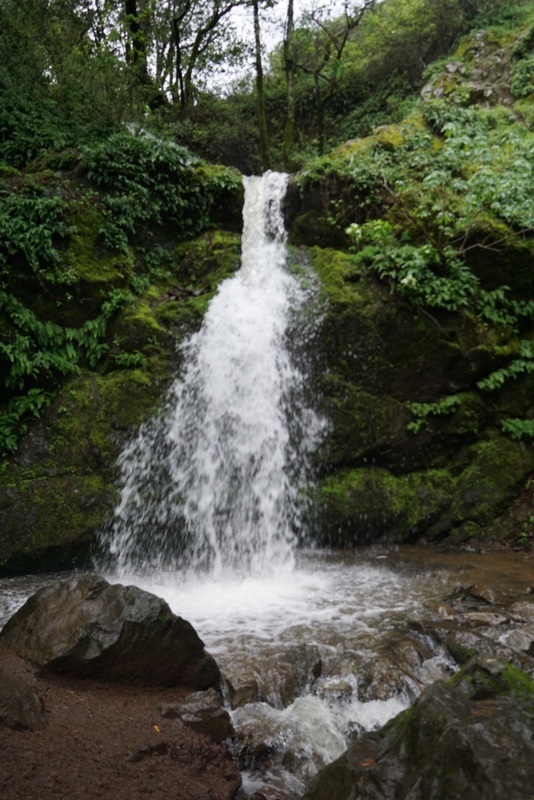 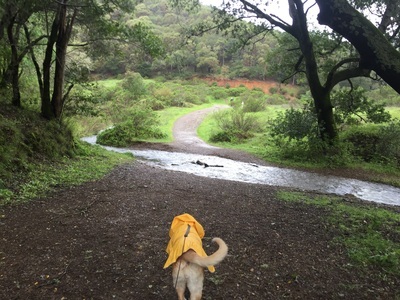 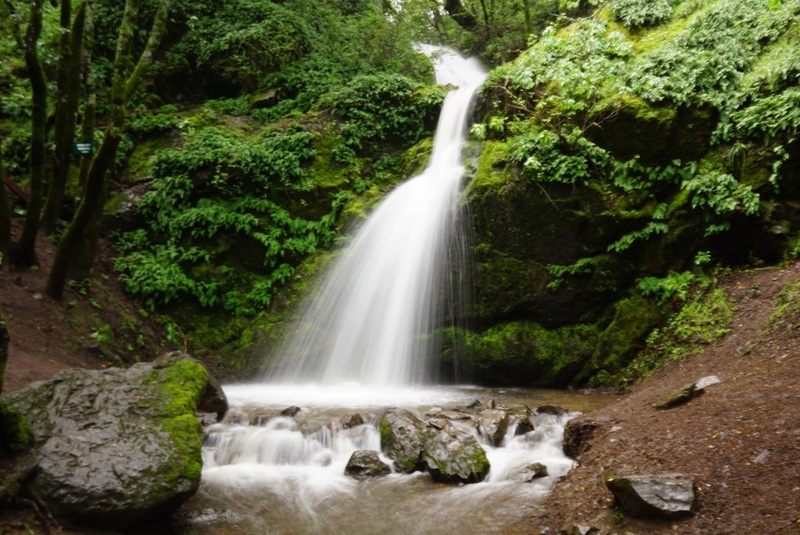 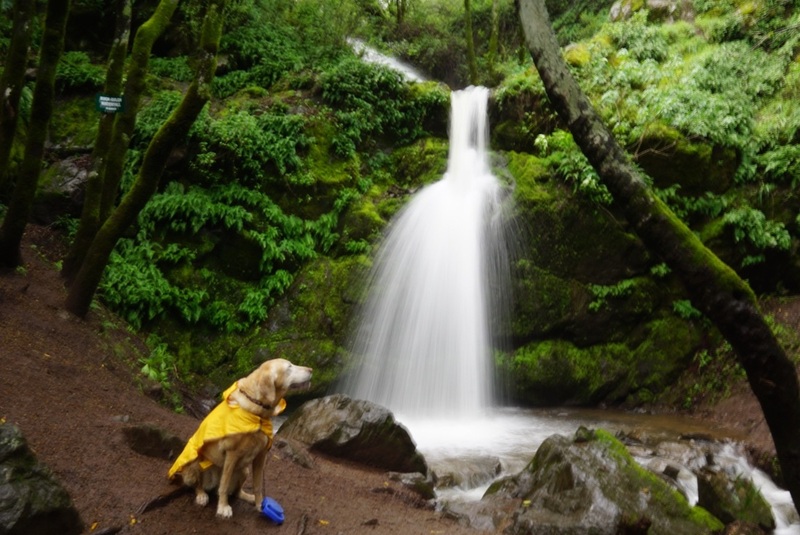 This waterfall is not named on the Marin County Parks map, but has an alternate (lesser-known) name, Bucks Gulch Falls. 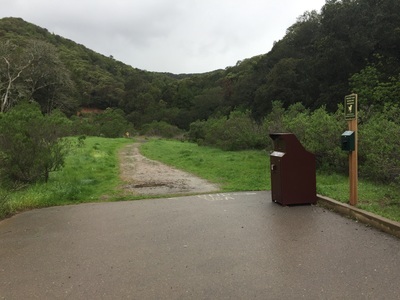 There are doggy clean-up bags and a garbage can at the trailhead. No restrooms or running water.